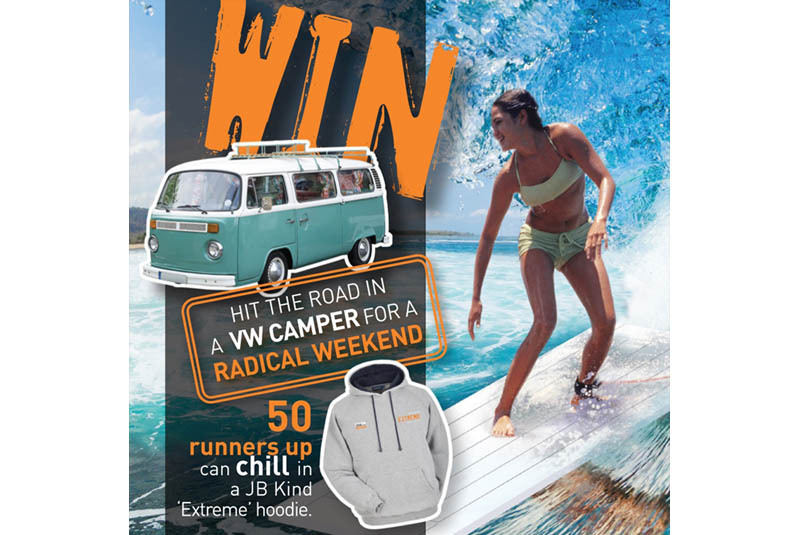 Merchant customers have the chance to win a ‘totally radical weekend’ in a VW campervan or an ‘Extreme’ branded hoodie, as part of a competition with JB Kind Doors. The competition coincides with the launch of JB Kind’s new External Extreme door range, which is said to offer exceptional durability and weather resistance, thanks to a top layer of Medite Tricoya Extreme. All doors are also sealed with a factory applied paint finish and available in seven traditional and contemporary styles to suit every type of property. Budding wave catchers have until the end of October 2017 to enter the competition, with winners announced in November. Simon Johnson, Sales Director at JB Kind, said: “As the first door distributor to offer this type of external door to the UK market, we’re excited for joiners and builders to realise the benefits for both new-build and retrofit projects. We think this competition is a great way of highlighting the superb durability of our new ‘External Extreme’ door range; the prizes are great, and there’s no purchase necessary, so why wouldn’t you enter? The External Extreme range from JB Kind is specifically designed for entrance doors and offers greater durability. Medite Tricoya Extreme is resistant to fungal decay, has enhanced stability with limited swelling or shrinkage, plus offers reduced maintenance costs. These competitively priced doors are also perfect for over painting and boast a 10-year guarantee.